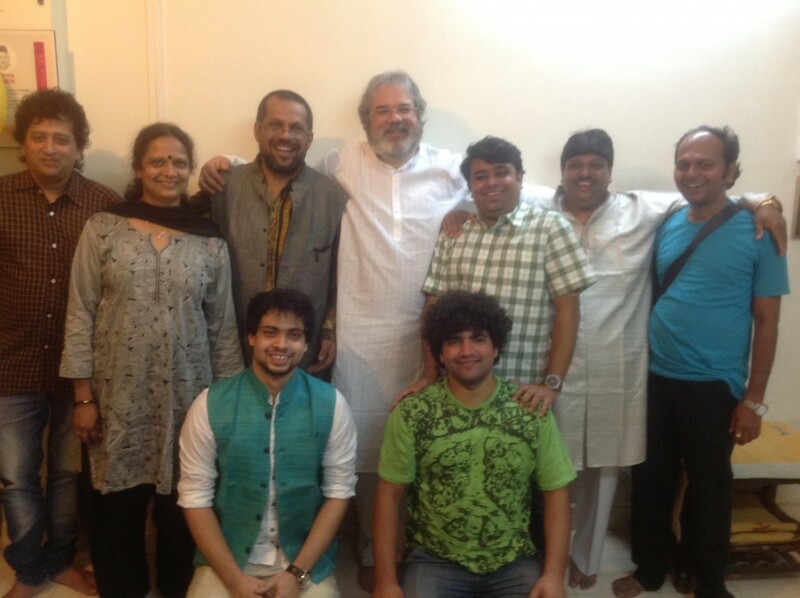 Ensemble Sangeet Prayog is a multi-traditional ensemble project with Pune-based musicians. It was founded in close collaboration between Sandeep Bhagwati of matralab and Sameer Dublay. Over the course of a year, the experienced musicians of Ensemble Sangeet Prayog Pune, inspired by composer Sandeep Bhagwati, explored the inner recesses of Hindustani music, finding surprising connections and riveting details: the beauty of eternal repetition in lehra-s, the inner symmetries of taal-s, the sheer power of taans – and then re-assembled their musical discoveries into unusual forms, creating astonishing harmonies and surprising textures. On February 8, 2015, Ensemble Sangeet Prayog premiered Dhvani Sutras at Mazda Hall, Pune, India. In November 2015, they recorded a studio album of Dhvani Sutras (soon to be released on Underscore Records).